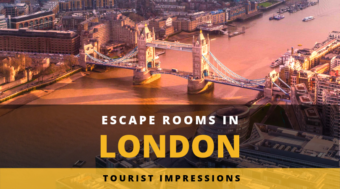 After avoiding Sheep-Mutation and solving the mystery of a missing Magician, our next stop in London was the Location of “Breakin Escape Rooms” in London. Our mission was to invade a Space Station and battle the enemies of Blackwing. Lets get our Review started. 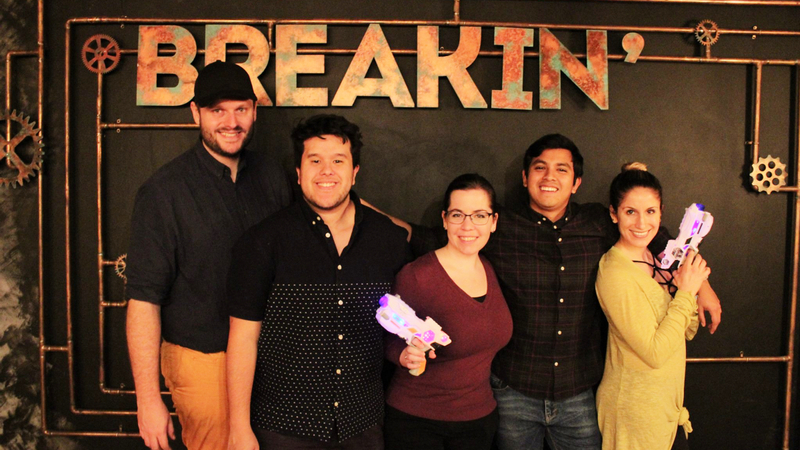 Next stop on our Escape Room Weekend in London were two rooms of Breakin’ Escape Rooms. The company just opened a couple of weeks before our visit, so everything was quite fresh and new. The owner was friendly and excited about our visit and we were welcomed in a very nice looking lobby. 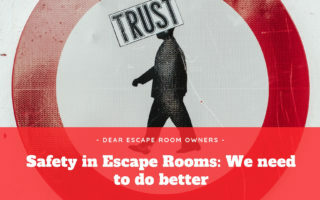 For a new company, Breakin’ Escape Rooms already has a surprising high number of rooms with a very polished look. 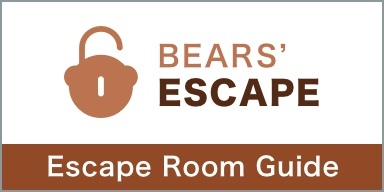 They seem to cover all the escape room basics (Sherlock, Pirate, Killer, Heist), as well as a science fiction and superhero themed room. Well stocked for a new company – they definitely did their homework on that front. But let’s get into the two rooms we did. With the expansion of the human race on other planets, an oppressive regime has risen to power and instated a dictatorship on the Colonial Republic, the dreaded Alpha One faction. You and your team are part of a rebel alliance trying to overthrow the regime and reinstate democracy. A massive assault will take place on the Horizon Alpha space station, serving as the Alpha One headquarters, which aims to destroy it, thus sparking a revolution on all planets. Your mission is to infiltrate the station and deactivate the shields in time so that the assault may be successful. Without the shields down, the entire offensive will become a suicide mission. Good luck, you are the galaxy’s only hope! War on Horizon Alpha seemed to take a lot of “inspiration” from Star Wars – from the whole look and feel of the room to some very familiar props you will find inside of the room. Once we entered the station, we were surprised by the high level of production design. The room looked great. We have done some Sci-Fi rooms before, but never did it feel like we were actually on the bridge of a real spaceship. We really enjoyed their room design. Sadly, we didn’t do very well with the puzzles of the room. As always, it could always be our own fault, but we struggled from the moment we entered the room and never really got into a good flow. Frankly, we were overwhelmed by the sheer number of buttons and screens and the lack of directions we received when we entered the room. So we asked for a clue, which lead to the next problem. 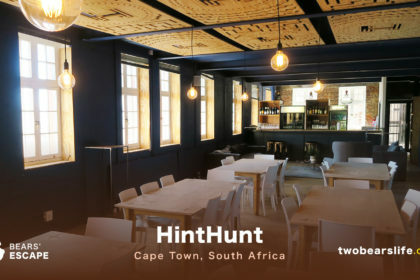 The hint system. If you ask for a hint over the walkie-talkie, you will receiver a code from your gamemaster. Than you have to go to a tablet next to the entry of the room and enter the code you were given. Than you receive some predefined clue. Which should be helpful. But it was rarely helpful for us. We solved a couple of tasks without hints, for some we needed to beg the gamemaster on the walkie-talkie to help us understand the clue on the tablet. It was frustrating. 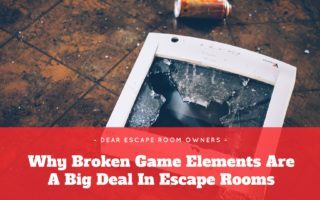 Once we finished the room, we were confused about why we didn’t figure out more puzzles on our own but also about the general game design of the room as well as the weird hint system. Knightsbane city is under attack. Dr. Drakker, the evil genius has escaped from prison and has sworn vengeance on his nemesis, the city’s hero, Blackwing. He has released all of the other prisoners from Alistair Penitentiary and has tracked down the location of Blackwing’s secret cave. Using his engineering skills he has set numerous traps for the hero by planting various devices in his cave only to be entertained by his torment. The fallen hero of Knightsbane city must now face his greatest challenge yet by defeating Dr. Drakker once more and bringing him to justice. As Blackwing’s sidekicks you will need to help him throughout all the mad puzzles prepared by his arch nemesis and escape the cave before the time runs out! 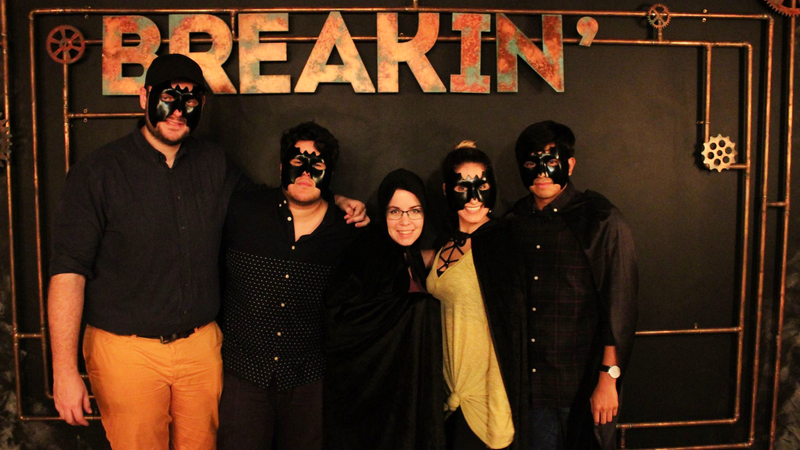 After swallowing our frustration from the first room, we gathered all our energy to do the second room “Blackwing’s Cave” – clearly inspired by Batman. The concept itself is pretty cool and was fresh for us. We have not done a Superhero / Supervillain room before and the setup of the Cave lends itself perfectly for challenges and puzzles. Like in the first room, the room design itself is pretty impressive – although mostly dark, which fits the theme. They clearly spent a good amount of money on their rooms and it shows. The game flow itself was better in this room as we never felt really stuck, after needing some time to actually get the game started. The game itself is pretty linear, so bigger groups should either coordinate to distribute tasks or just go for another room. There is a section during the last quarter of the game where your team splits up – just a quick warning: try to split up evenly. The puzzles in the room are mostly high-tech with some cool twists. Another warning for the end though: the game is NOT over once the timer stops. We failed to realize that and got all our leftover time deducted, because we thought it was already finished. Our experience in Breakin left us fairly torn. On one hand, the location was new and the rooms looked really cool and were well-built. 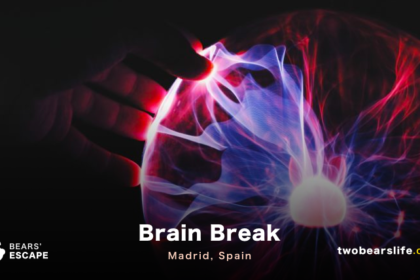 They have interesting and diverse concepts which will attract a lot of people. On the other hand, we had gameflow issues in both rooms. The amount of buttons and elements in “War on Alpha Horizon” were confusing and ultimately frustrating for our team. The last game-element in the Blackwing room was such a frustrating ending to the game that we were fairly stomped afterwards. A big problem for us was also the weird clue system. It was clearly done to reduce the work for the gamemaster, but having those kind of standardised clues that you only receive after entering a code into an iPad is just weird and barely helpful – at least for us. Like written before, we enjoyed Blackwing’s Cave a lot more than War on Alpha Horizon – although both rooms were very well decorated. It was just a shame that the nice optics did not translate to a similar high-level of game design. 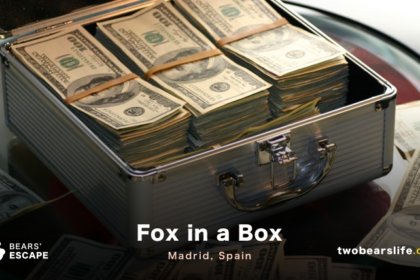 Never the less, we only played two of their six rooms and we were told afterwords that a group of experienced players should have gone for another room – like Sherlock’s Despair or Heist Plan: The Garage. In total, we still had a good time, but we were a little bit underwhelmed of the experience because of the nice design. 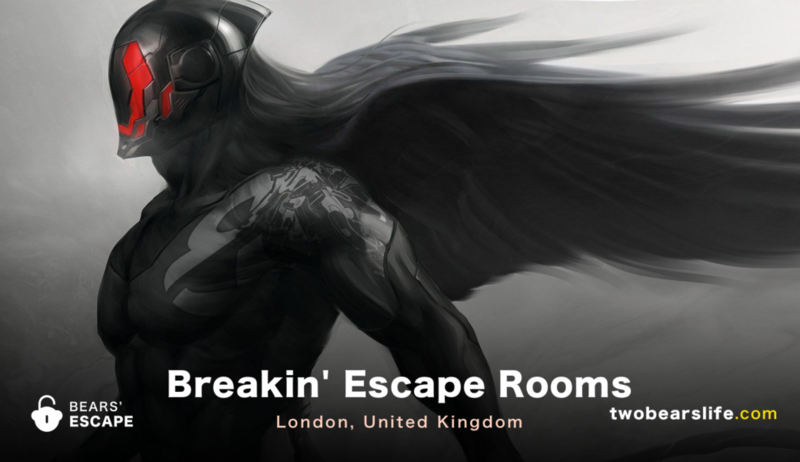 Breakin’ Escape Rooms in London has 6 rooms, we played two of them: War on Alpha Horizon and Blackwing’s Cave. Both of them had really nice production design, but we had issues with the actual game design and flow. Sadly, we also struggled with their clue system, that hardly helped us when we got stuck. The staff was nice, although we struggled with asking for help. The location is reachable by subway without a big hustle and everything is pretty new and clean. Agree that it’s a weird hint system. I wish they’d change it because it feels like it’s not any more efficient for them. My suspicion is that it mean they don’t have to worry about language as much.